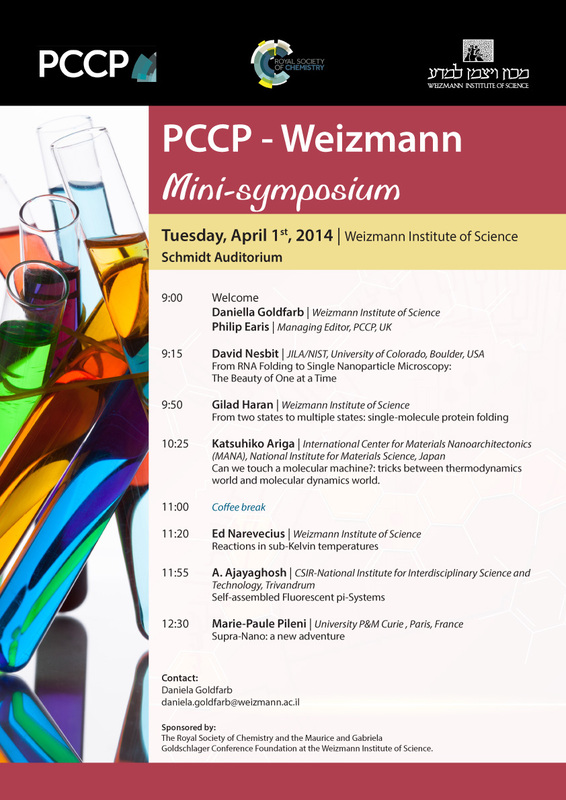 Join us for the upcoming joint Physical Chemistry Chemical Physics (PCCP) – Weizmann Institute of Science mini-symposium on Tuesday 1st April 2014. The event is free to attend for all delegates and no registration is necessary. More details of the exciting programme can be found below. good we perform, adhere to the manufacturer on Snapchat for all the behind-the-scenes eyes sweet.nice. good you may download this iphone app from any public websites of android developers. it is normally obtainable easily you carry out will need to pay for any funds. it has got a incredibly numerous characteristic like design. nice. good Following will be the amazing collection of features included with Google Duo Video tutorial Getting in touch with App Apk. We can consider this application as greatest alternate for currently been with us amazing applications	nice. good Nowadays I will notify you how you can download Terrarium Television set apk on your Smartphones. There happen to be various websites	nice. good several people likewise utilize their HTPC to pay attention to music. In terms of music streaming, MP3 Streams is one of the ideal Kodi addons for web content and organization. nice. good to make use of makings it easier to search between different networks. Nothing else streaming application provides online TV channel feed	nice.